I recently learned about book mapping. While the class was intended for developmental editors, I found the tool helpful as a writer. 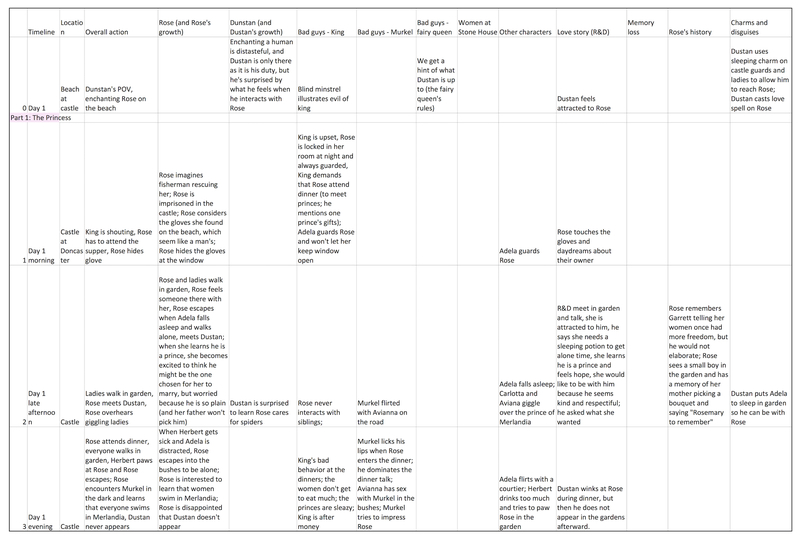 Book mapping is a method of plotting out the action or themes of a story, to help keep track of them. This mapping can be done visually or with text in a spreadsheet. 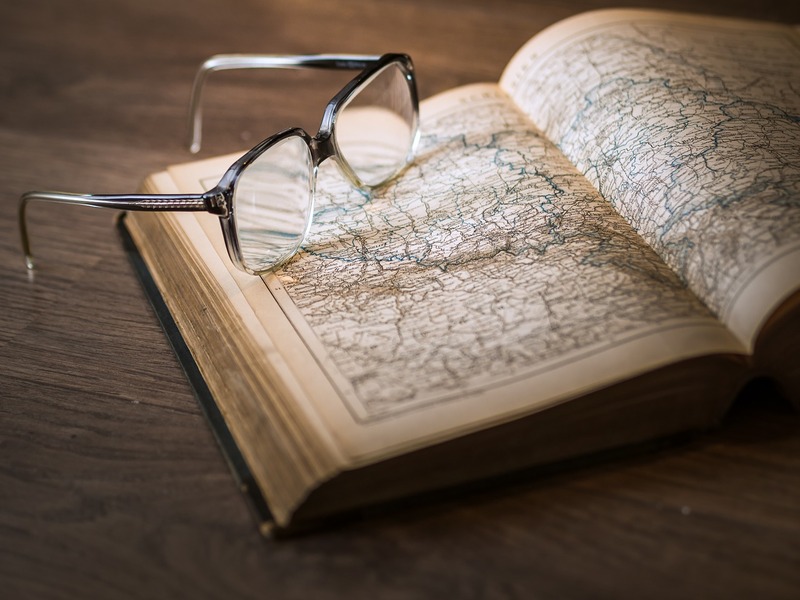 Developmental editors can use a book map to visualize an author’s manuscript and get insights into what help it might need. Authors can use it to keep track of threads in their story and to step back from their own writing and gain the same insights. Over the years, I’ve tried various methods of mapping out certain aspects of my projects. For example, when I was writing Somewhere and Nowhere, I wrote the contents of each chapter on index cards to chart the mood, with red ink for bad moods and green ink for good moods. Laying out the cards, I was able to see the large swaths of bad mood that might bog down readers, and the emotional roller coaster that persisted through the story and might exhaust readers. I used the cards to find red areas to reduce or merge. 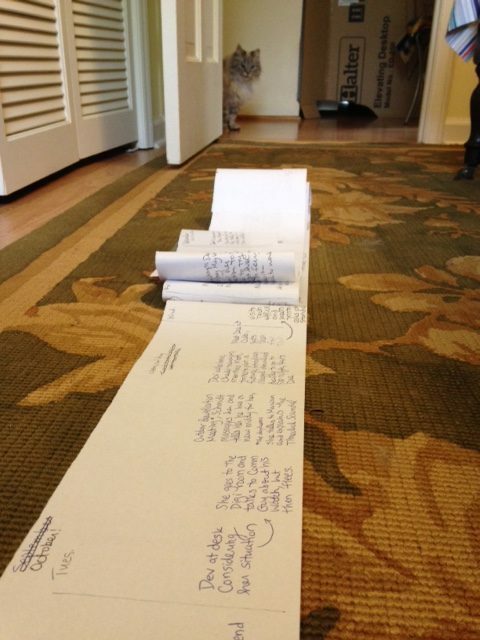 More recently, I used a long scroll of paper to plot the days of my dystopian fiction story, to keep track of weather patterns and days of the week, among other things. I’ve never had a system that worked easily, though, or for multiple aspects of the manuscript. Until now! The class suggested an easy method of using a spreadsheet. Each row is a section of the story: a chapter, a scene, or a day in the story. Each column is something that needs to be tracked: a character’s development, a theme, an aspect like the weather, or something practical like what day of the week it is. After the map is filled in (chapter by chapter), the mapmaker can follow a thread by reading down a column. I decided to practice with a romance novel that I’d put aside after the first round of revisions. I started by skimming through it and pulling out the items I would track (the column headings); the teacher called this “mind mapping.” My list included the development of the main characters (Rose and Dustan), each of the three villains (Rose’s father the king, the evil Prince Murkel, and the fairy queen), Rose and Dustan’s love story, Rose’s history, and Rose’s “memory loss” (i.e., after Rose loses her memory, I needed to keep track of what bits had come back to her as the story progressed). I immediately noticed that Dustan’s character quickly grew flat (note his empty column). The story is from Rose’s point of view, so there is plenty of opportunity to show her thoughts and growth, but I wanted the reader to see that Dustan’s original ill intentions change as he gets to know Rose. The teacher, without having read my manuscript, suggested working on the villain columns (could hints be given as to their various motivations?) and the Rose’s history column (adding history might give the story more depth). As I progressed with adding rows, I tried to be my teacher-stepping back from the story I knew and looking at the spaces (or lack of) in the map. I noticed when Rose had four different feelings within one scene (did her feelings need to be clarified?) or when she immediately regained several memories within a few days of losing her memory (didn’t I want her to regain them slowly, for dramatic effect?) In addition to simply helping me keep track of the story, the map gave insight into how to improve it. This entry was posted in For Authors, For Editors on April 26, 2018 by Emily.